Fantastic quick meal adapted from a Weight Watchers recipe I found on Pinterest. Zesty, fresh flavours. Prep time: 10 minutes, cooking time even less. Combine the sea salt, pepper and chilli in a large bowl. Add the prawns and toss to coat. Place the noodles in a heatproof bowl and cover with boiling water. Stand for 5 minutes or until softened. Drain. Combine the juice, chilli and fish sauces in a large bowl. Add the noodles, carrot, cucumber, cabbage, shallots and half the coriander. Toss gently to combine. Heat oil in a wok over high heat. 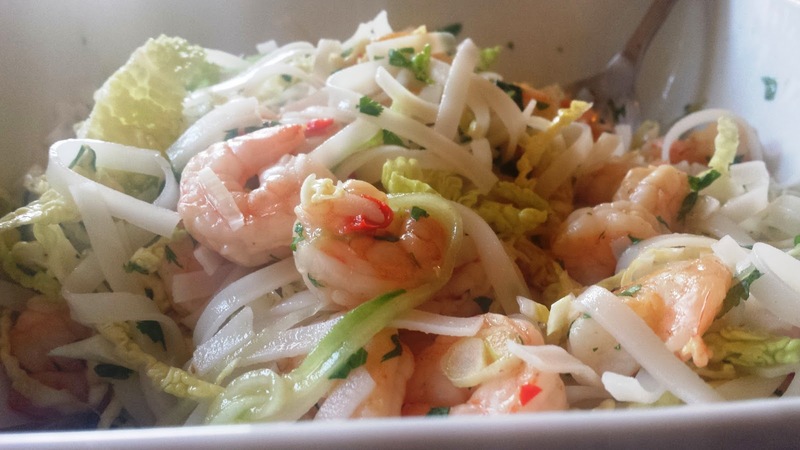 Stir-fry the prawns, in batches, for 2–3 minutes or until the prawns change colour and are just cooked through. 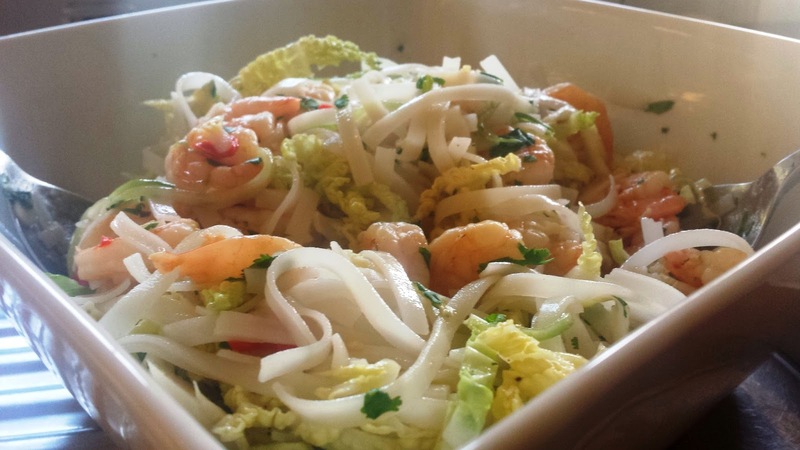 Serve the cooked prawns with the noodle salad and the remaining coriander. Enjoy!